What's better than one bride? Two of course! Today we are sharing a sneak peek of the wedding between Gilma and Valerie...two gorgeous brides cuffed for life. Gilma and Valerie are very near and dear to us, being personal friends of Loriann and Herick for over ten years. You must watch this video - we repeat, do NOT miss this video! It's full of beauty, emotion, happiness, commitment - but most importantly, love. As you can see from the pictures below, the First Congregational Church in Los Angeles is a beautiful church. Founded in 1867, it is an historic building in the heart of Los Angeles and is the city's oldest continuous Protestant congregation and houses the world's second largest organ. This impressive English Gothic Revival-style building was the perfect location for our beautiful and traditional brides to say "I Do". 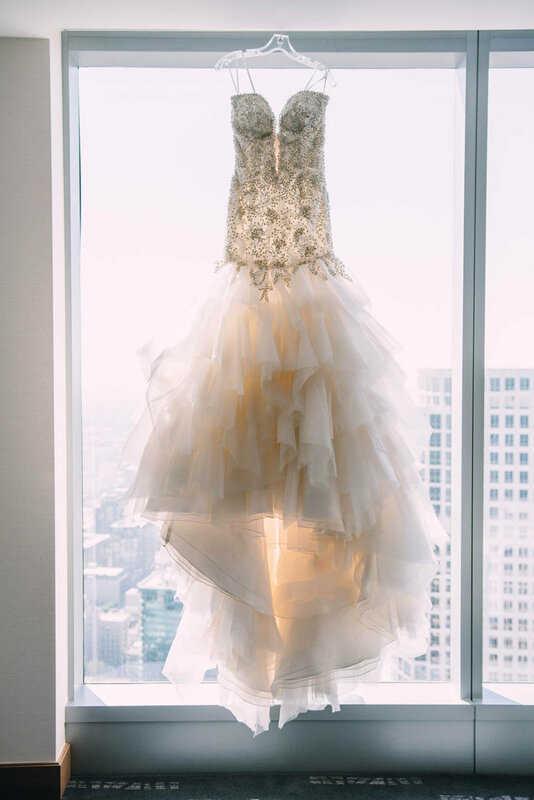 Can we just pause for a minute over the beading on this YSA Makino gown? Swoon! Oh how we love a gown with pockets! The lighting at First Congregational Church is magical and breath-taking. We've said it before...every first dance should begin with a romantic and dreamy rolling fog. By the looks on their faces, I think our brides agree! Congratulations Gilma & Valerie! We wish you love and happiness for "arrest" of your lives! We love you.